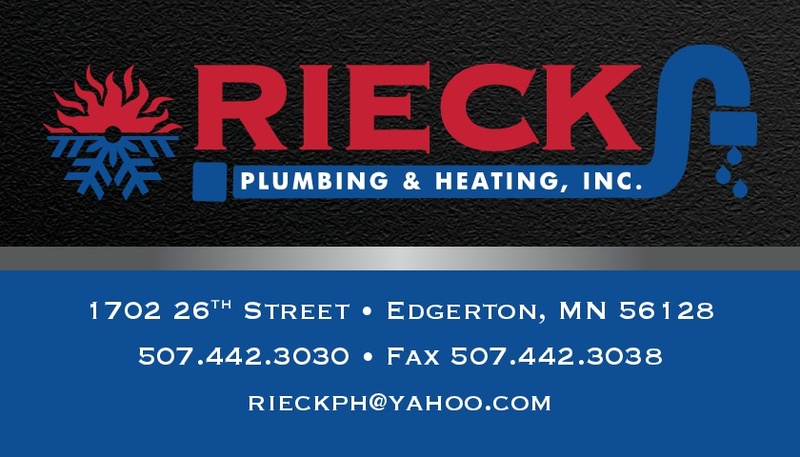 Hvac Contractor Edgerton, MN | HVAC Contractor 56128 | Rieck Plumbing & Heating, Inc.
We believe that the best way to give you superior service is to remain up to date on the latest trends in the industry. Our team always uses the newest techniques to deliver the finest HVAC services in the area. Your heating and air system is in good hands when you reach out to our company. Our team is available to you Monday through Friday 8:00 am to 5:00 pm. We offer residents throughout Edgerton, MN, and the surrounding area superior service. Contact us for repairs, installation, and maintenance.